If you're looking to improve your English skills, join a class led by trained students. This is a fun way of meeting others while improving your skills. There are no exams, lectures or books. Classes run from weeks 3 - 11 and some require you to register at the beginning of semester. 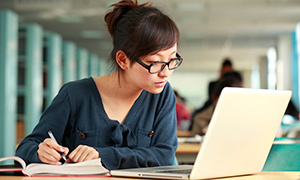 Develop your study skills through programs that cover library resources, search strategies using databases, effective reading, listening and note-taking. As well as working with you in your courses and units, librarians and learning skills advisers provide a range of programs and drop-in sessions related to your assignments and other tasks.